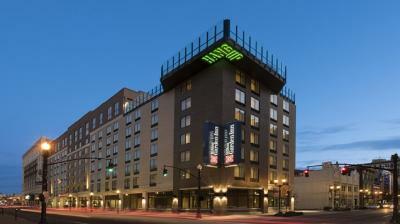 Lock in a great price for Hilton Garden Inn Louisville Downtown – rated 8.5 by recent guests! I did like the comfortable bed, friendly staff's, and location. I did like that they had restaurants and a bar inside of hotel. The bed was very comfortable and the rooms were very clean. The manager Cary was exceptional. The staff was extremely helpful and friendly. The shuttle driver was terrific. Our room was spacious and clean. The location is superb. I would recommend this hotel! 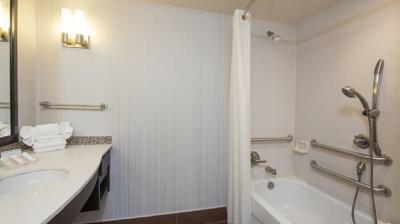 Great location within walking distance to several music venues, restaurants and bars!!! 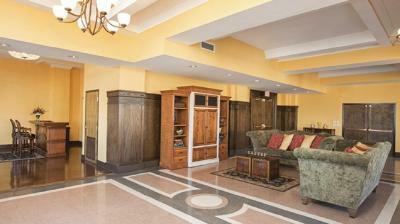 Great location in downtown Louisville, delicious breakfast, good size and comfortable rooms. 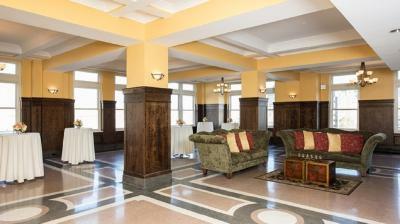 Perfect location for an event at either Mercury Ballroom or the Palace. Friendly staff. Great location. Comfy bed. Nice size room. Everything else was great. We even had an delay the next day with our business in town and they allowed a late check out. Again very accommodating! 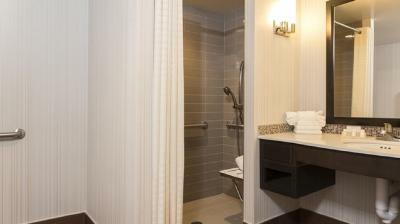 Hilton Garden Inn Louisville Downtown This rating is a reflection of how the property compares to the industry standard when it comes to price, facilities and services available. It's based on a self-evaluation by the property. Use this rating to help choose your stay! 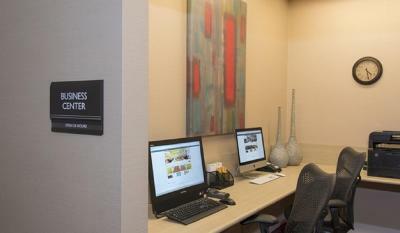 The Louisville Downtown Hilton Garden Inn includes rooms with a flat-screen cable TV, coffee machine and mini-refrigerator. Some suites and rooms include a sofa bed. 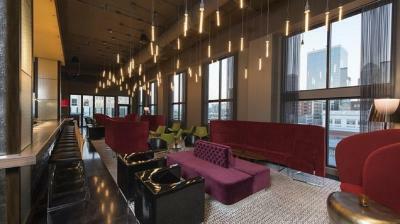 For a unique downtown experience, guests can take in views of the city while enjoying food and cocktails at the hotel's rooftop bar and grill. At Hilton Garden Inn Louisville Downtown you will find large meeting facilities and event space. 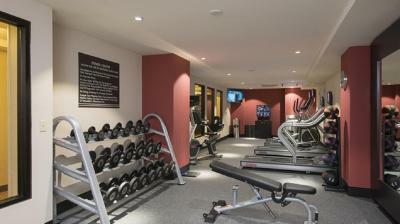 A fitness centre is featured for guests workout needs. 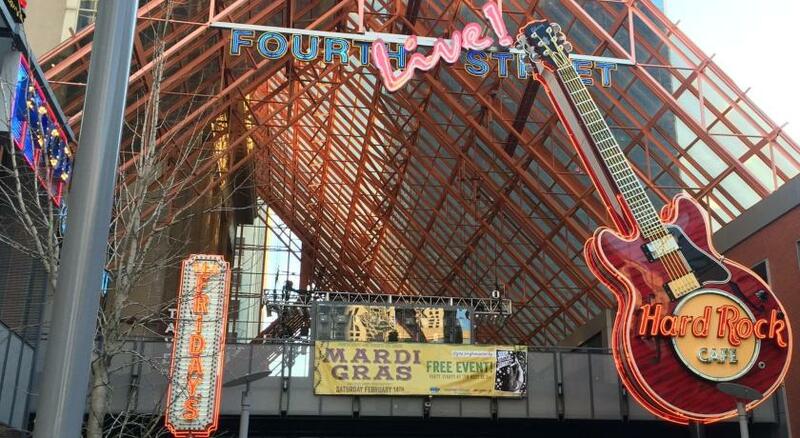 The hotel is less than 2 miles from Kentucky International Convention Center, KFC Yum! Center and the Louisville Science Center. Louisville Airport is 5 miles away. 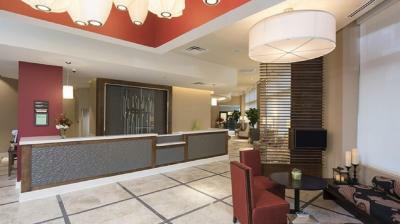 When would you like to stay at Hilton Garden Inn Louisville Downtown? This room includes a flat-screen cable TV, coffee machine, desk and mini-refrigerator. 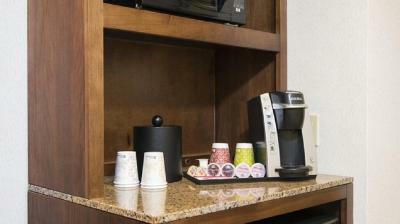 This hearing accessible room includes a flat-screen cable TV, coffee machine, desk and mini-refrigerator. This room includes a sofa bed, flat-screen cable TV, coffee machine, desk and mini-refrigerator. 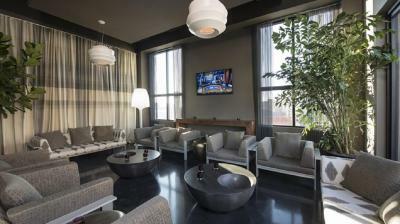 This room includes a separate living area with a flat-screen cable TV and sofa bed. 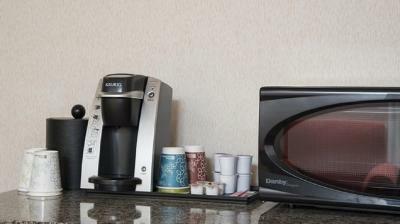 A coffee machine, desk and mini-refrigerator are also included. 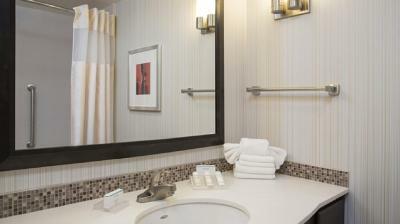 This mobility accessible room includes a separate living area with a flat-screen cable TV and sofa bed. A coffee machine, desk and mini-refrigerator are also included. This hearing accessible suite includes a separate living room with a sofa bed and a flat-screen TV. 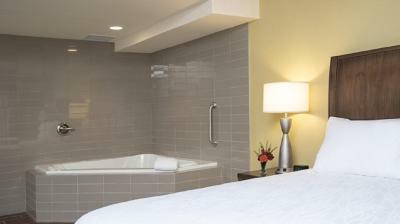 This suite includes a living room with a sofa bed, a spa bath and a flat-screen TV. 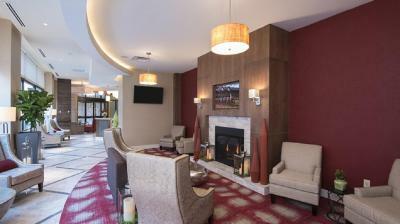 House Rules Hilton Garden Inn Louisville Downtown takes special requests – add in the next step! Hilton Garden Inn Louisville Downtown accepts these cards and reserves the right to temporarily hold an amount prior to arrival. Service dogs are allowed on property. I didn't like the construction noise. I did not like the high price for restaurant for normal food! Pillows were terrible. Maid knocked on our door at 9:30 am hoping we were leaving so she could clean. (checkout wasn’t until noon & we had been out until 1am). Young girl at counter was insulting upon checkout. The room was clean and comfortable. Staffing was polite and helpful. 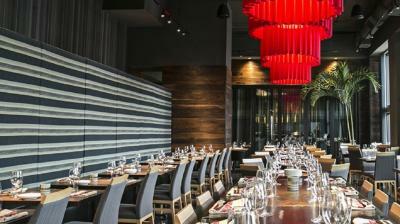 there are plenty of good restaurants within a couple blocks and one in the motel. The price was too high, even parking in the parking garage. I would have liked a free breakfast considering the price. For what people pay to stay there should be free breakfast like the Embassy offers. And we had to wait for over an hr for breakfast because of lack of help. They were out of most breakfast items by the time we got to order. Our waitress Shelly was doing her best. Didn't have eggs. Bed was descent. The free breakfast was advertised on booking.com, but the hotel does not honor that if you booked through a third party. “Parking” was also advertised, but it was not mentioned that it was $18 per night to park on site. Unsure if that was further punishment for not booking directly with the hotel, or if you have to be some sort of rewards member to be able to park at the hotel you’re paying good money to stay at. WiFi was difficult to connect to. Our coffee machine was broken in our room. Beds not as comfy. 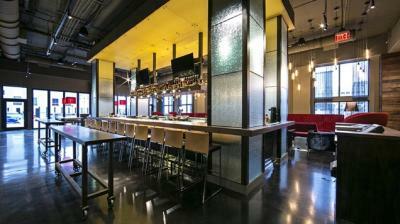 The hotel bar and restaurant. The location. The parking structure connected.